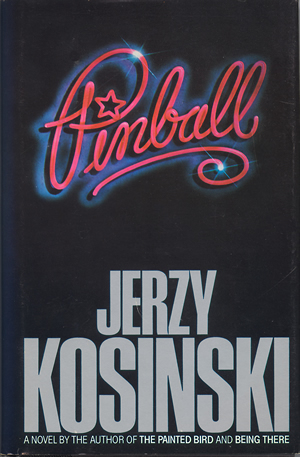 Jerzy Kosinski needed an editor to sit with him many long winter afternoons at his apartment on East 57th street in New York, to work out some ideas and fill in the details, particularly about the musical aspects of the book I edited, which was his novel, Pinball. Pinball was about a rock musician, something the Kosinski actually knew little about. He asked me a lot of questions: “How can a keyboard sound like a whole band? What are the historical and cultural roots of soul music? How do these guys really talk?” He set up situations, and tried to figure out how it would work realistically in that world, that context, for his protagonist, who was a kind of an existential Billy Joel. Our method was Socratic: questions, discussions, debate, resolution. Gradually the book was constructed in outline, scene by scene, then I’d get a draft, ask for revision, get another draft. He never took off his tie and neither did I. Charming, remote, very guarded and formal, Kosinski was found dead of an overdose in his elegant bathtub a few years after Pinball was published.